Princeton Manor - Beautiful sun room and sitting room off the master Bedroom, upgraded lighting! 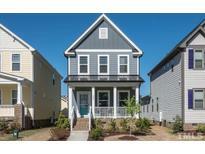 MLS#2233978. 2714. FamRoom: w/HWD Floor, Cstm Srrnd GasLog Fireplace w/Cstm Mantle & Ceiling Fan w/Light! Upstairs Bonus! MLS#2233998. 1128. 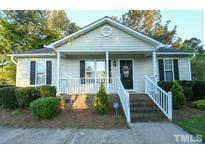 Knightdale - Fully finished basement with a gigantic bonus room and bedroom w/ full bath. Storage for days. MLS#2233464. 2527. Poplar Creek Village - Master Bath features quartz counters, seperate shower & garden tub. Covered Rear Porch! MLS#2232778. 2714. 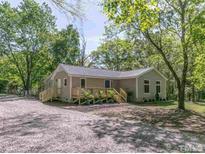 Rockbridge - Upstairs, there are two additional bedrooms and Recreation room. Stock photos MLS#2231735. 835. Rockbridge - Third floor bed, bath and Recreation. MLS#2231851. 835. Upgraded Cabinets, Under cabinet lighting, latest style pendant lights, Upgraded wall oven appliances, Stainless Steel Pendant range hood, 3",5",7" random birch Hardwood, Beautiful sun room off of breakfast area, Cofferd ceiling in Dining room, Full Mirror in master closet, sitting room off of master Bedroom. Full Sodded yard MLS#2231604. 2714. 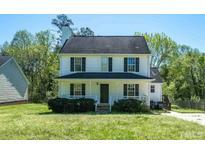 Walk to Knightdale Station Park, dog parks, playground, YMCA pools, nature areas, downtown MLS#2231419. 946. Big Master Bedroom w/Double tray ceiling/Large Walk in Closet/jetted tub/Double sinks. MLS#2230728. 1709. Langston Ridge - This incredible community gives you views of the downtown Raleigh skyline. MLS#2230567. 4645. Poplar Creek Village - 2 guest Rooms & Large guest bath! Refrigerator, Blinds & W/D included! MLS#2229775. 2714. Rockbridge - Master Bedroom w/tray ceiling and Master Bath welcomes you home from those long days at work, seperate Shower and soaking Tub. This home offers so much. MLS#2229410. 3251. Poplar Creek Village - 4 Large bedrooms on UL w 2 baths & bonus Room! MLS#2229241. 2714. Poplar Creek Village - Crown in LL public areas. COVERED REAR PORCH! Great Lot! 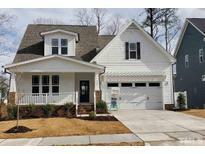 MLS#2228939. 2714. Poplar Creek Village - Crown thruout LL public areas. 1st floor office. GREAT LOT! MLS#2228735. 2714. FamRoom: w/Hardwood Flooring, Cstm Surround GasLog Fireplace w/Mantle, Triple Window! Large Bonus Room w/Tech Nook! MLS#2228575. 1128. FamRoom: w/Hardwood Flooring, Cstm Srrnd GasLog Fireplace w/Mantle! Large Upstairs Bonus Room! MLS#2228587. 1128. 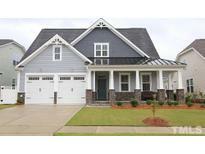 FamRoom: w/Coffered Ceiling, Cstm Srrnd GasLog Fireplace & seperate Doors to Rear Covrd Porch! Lots of Unfin Storage Space! MLS#2228205. 1128. 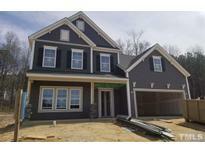 Savannah Oaks - FamRoom: w/HWD Flooring, Cstm Srrnd GasLog Fireplace w/Blt Ins & Mantle, Quad Wndw! Large Upstairs Bonus Room! MLS#2228215. 1128. Robin Hood Forest - (Hardwood Floors Under Carpet per Seller) SELLER SAYS TO BRING Reasonable OFFER ! ! MLS#2228157. 1128. Princeton Manor - The kitchen features our popular gourmet kitchen option which includes in-cabinet microwave oven combo with stainless steel GE Profile. Separate Owners his & hers closets MLS#2227550. 2714. 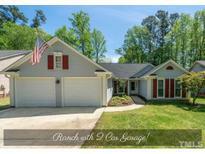 Tankless water heater, covered back deck, in coveted Princeton Manor MLS#2227542. 2714. Poplar Creek Village - Hardwoods thruout LL! Double Porches on Front Ext! MLS#2227444. 2714. Poplar Creek Village - Crown in LL public areas & Master! Great Lot! Avail 4/19. MLS#2226677. 2714. 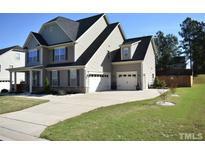 Knightdale - Upstairs is a 2nd master suite, 2 adn’l Bedrooms/bath + spacious bonus. Unfin. 3rd floor! MLS#2226580. 946.